The 3 TB Seagate FreeAgent GoFlex External Hard Drive sports an upgradeable interface of your choosing. Though the drive includes USB 2.0 support, the drive also includes USB 3.0 and FireWire 800 support of up to 10x’s faster than the standard USB 2.0 support. Software included with the drive enable you to easily Backup and Secure content to the drive using the Seagate Dashboard Management Tool. Create automatic continuous backups of all your data. Encrypt your backup files using the included encryption software. The drive includes GoFlex Desk USB 2.0 desktop adapter, which sports an illuminated capacity gauge. Users wishing to take advantage of the USB 3.0 and FireWire 800 support may also purchase a FireWire 800USB 2.0 adapter for $49.99, USB 3.0 adapter for $39.99, or the USB 3.0 adapter kit for $79.99. Purchasing the USB 30 adapter kit enables you to upgrade you Desktop/Laptop and your FreeAgent GoFlex desktop external drive. Seagate has also tried to work around the 2.1 TB readable partitions limits that 32 Bit Operating Systems have. The 2.1 TB LBA(Logical Block Addressing) standards were written back in the 80’s, and were considered more than adequate at the time. Aside from the LBA issues there are issues with the MBR (Master Boot Record), RAID systems and Hard Drive Controllers. Seagate has tried to workaround these issues by stating that placing the 3 TB Hard Drive in an external enclosure, that the drive is not being used for Primary Disk Usage and RAID arrays. 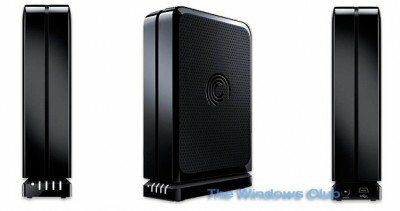 The 3 TB FreeAgent GoFlex External Hard Drive can be purchased from the Seagate website for $249.99 : Seagate Products and Services.